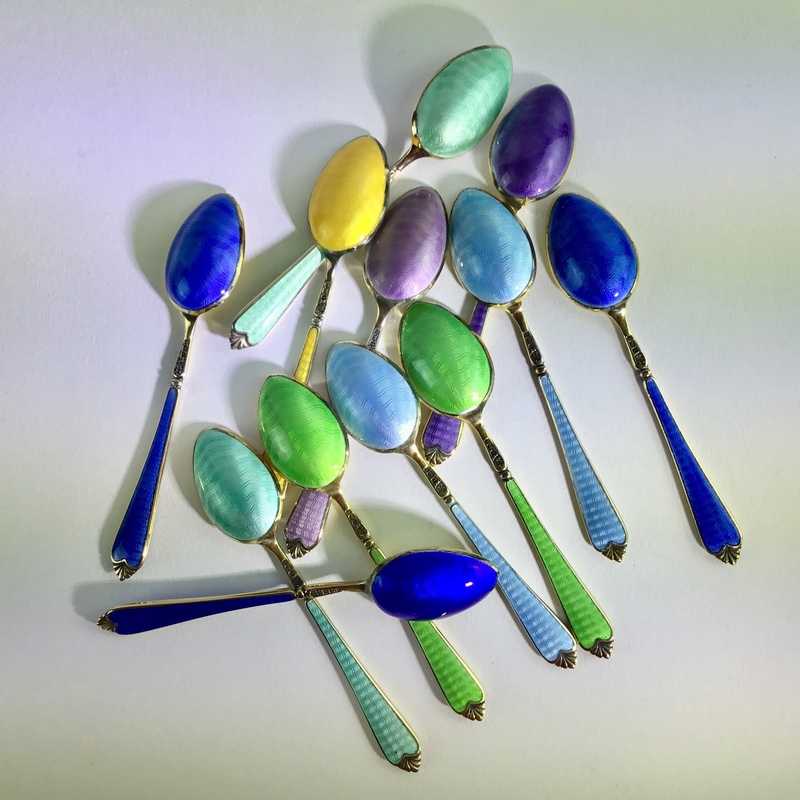 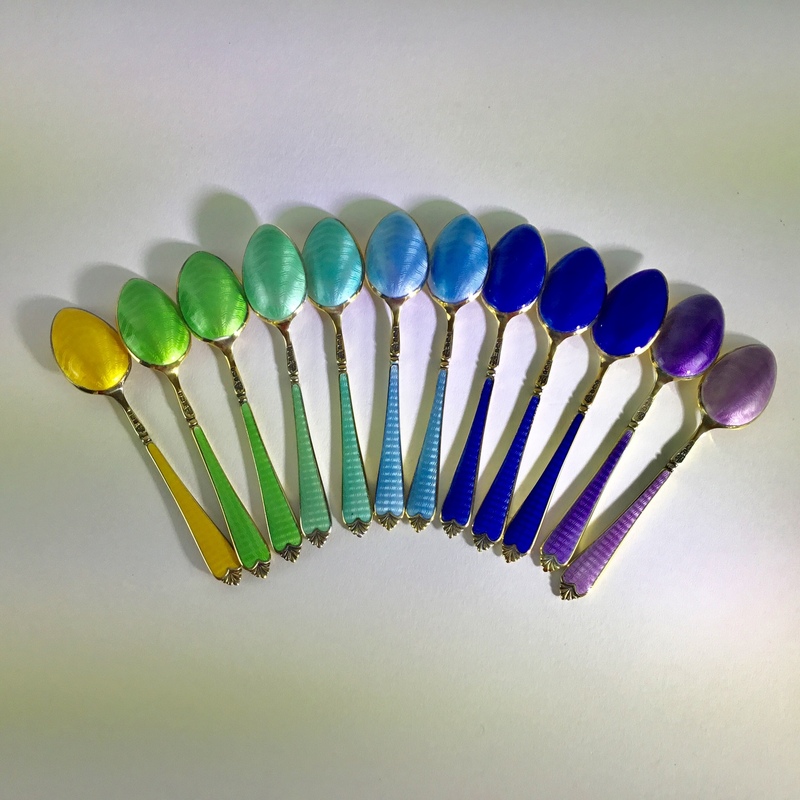 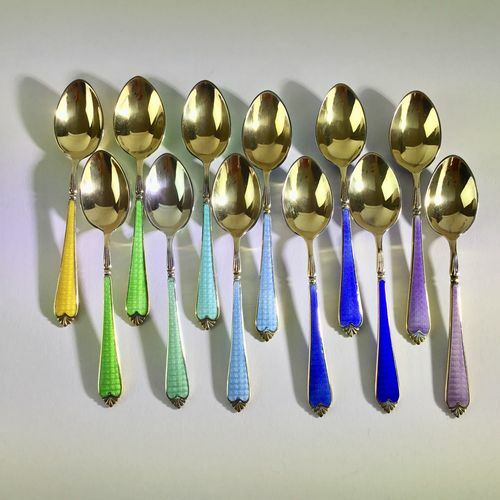 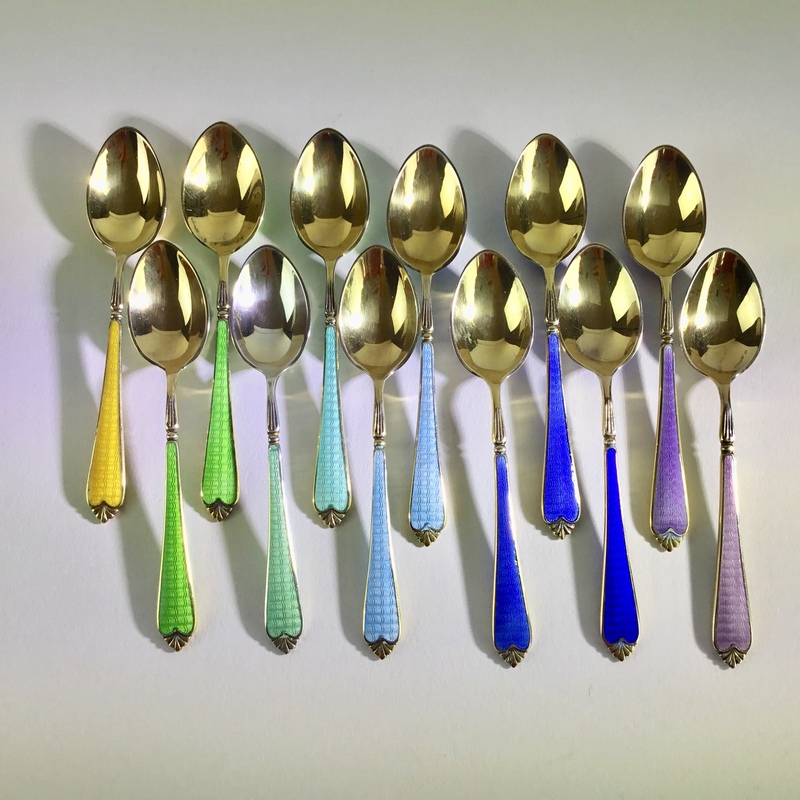 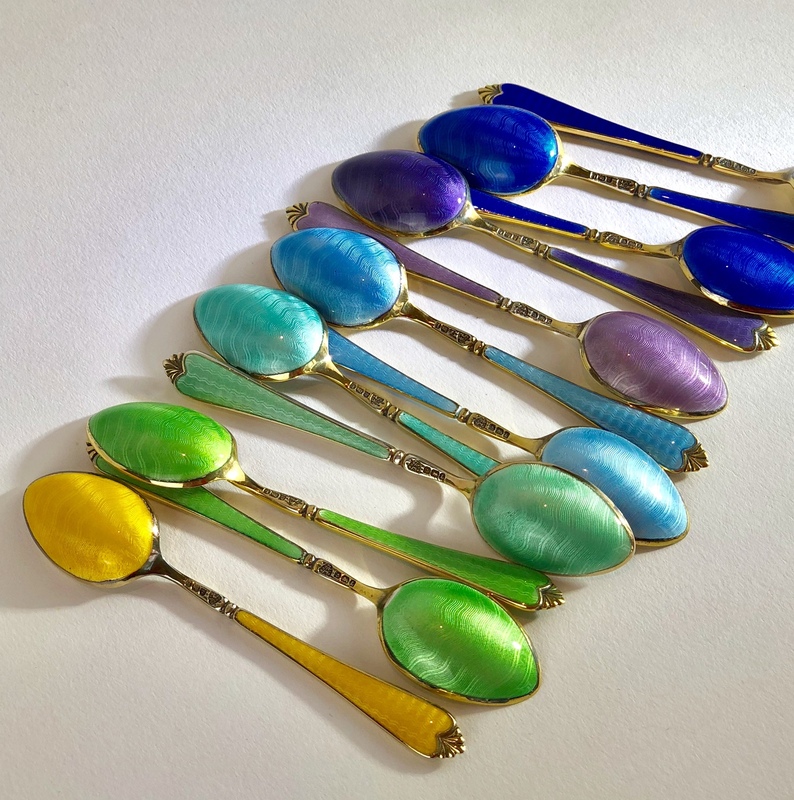 An exceptional and rare set of twelve gilded English silver and Guilloche enamel demitasse spoons, hallmarked Adie Bros Birmingham 1935. 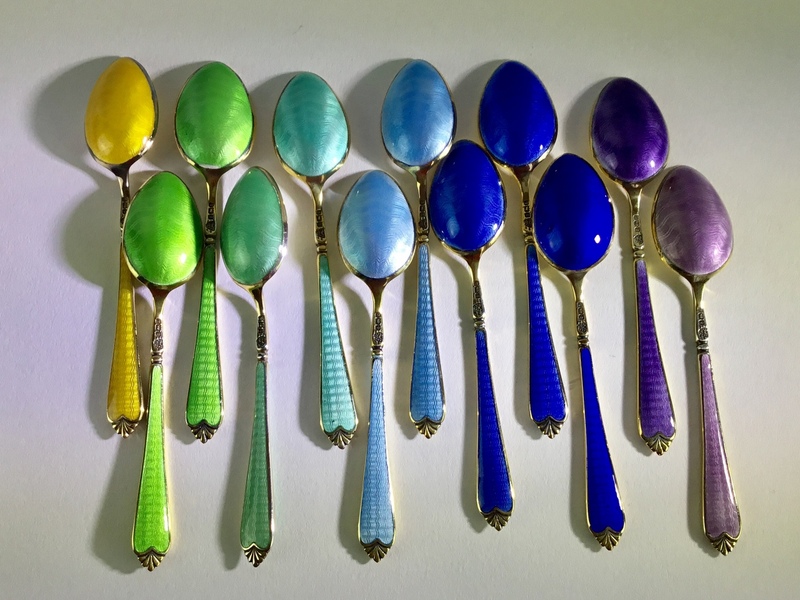 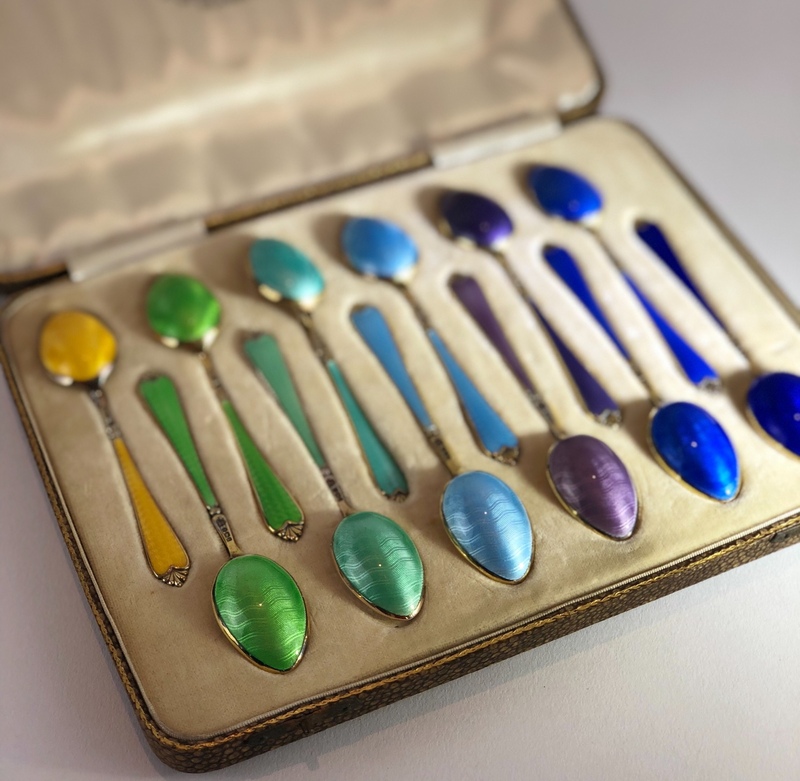 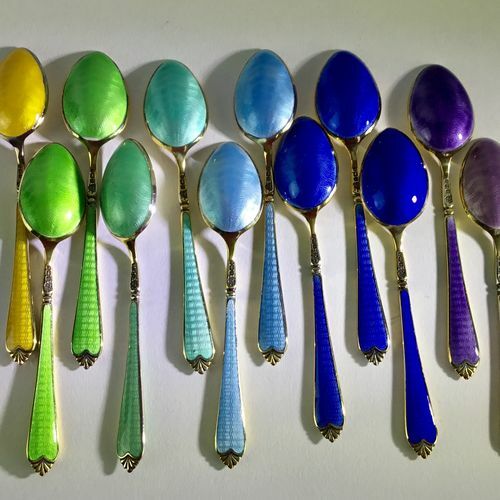 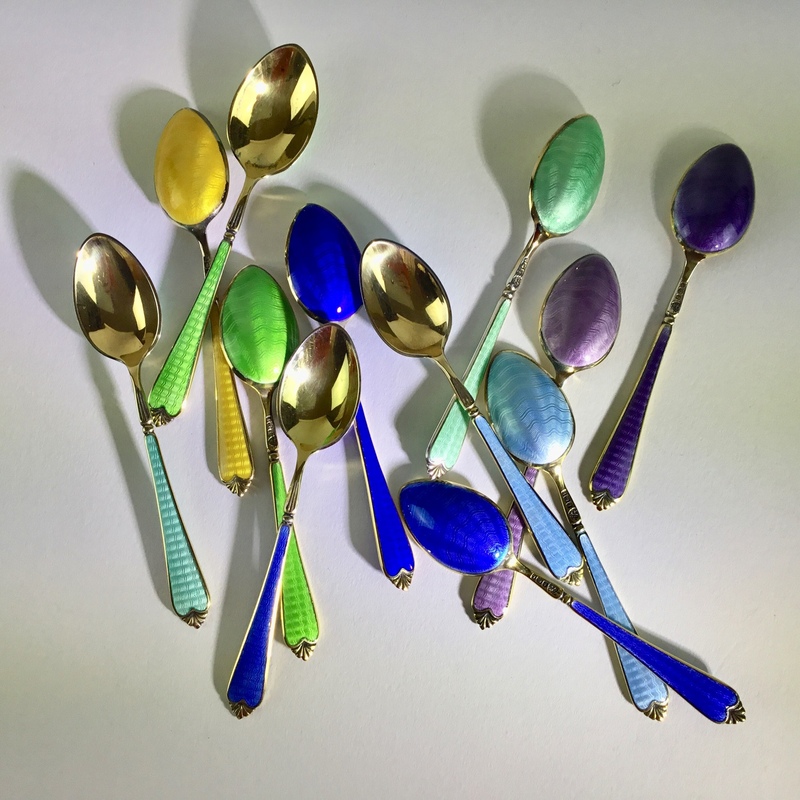 These finely crafted spoons are of gilded sterling silver and Guilloche enamel and come in their original satin and velvet lined Shagreen box. 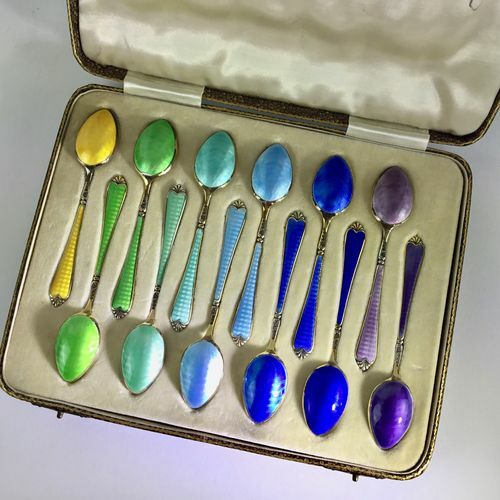 In outstanding condition for their age.